This course is designed as an introduction to screen printing or as a refresher if you have done some screen printing before. 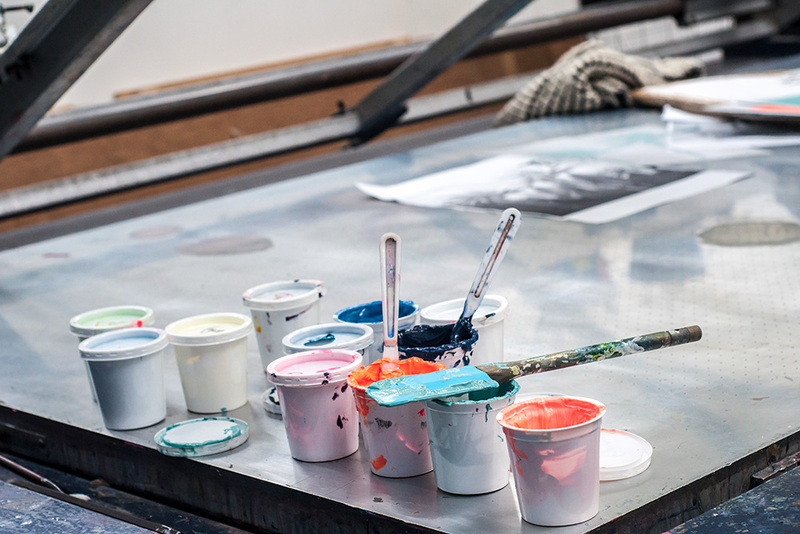 During the ten weeks you will become familiar with all the steps in the screen printing process from screen preparation to stencil making and printing. You will get to know the subtleties of ink mixing and screen exposure and will learn a variety of techniques to produce complex images. By the end of the course we aim to have made you feel confident and relaxed in our studio environment and proficient in your screenprinting.